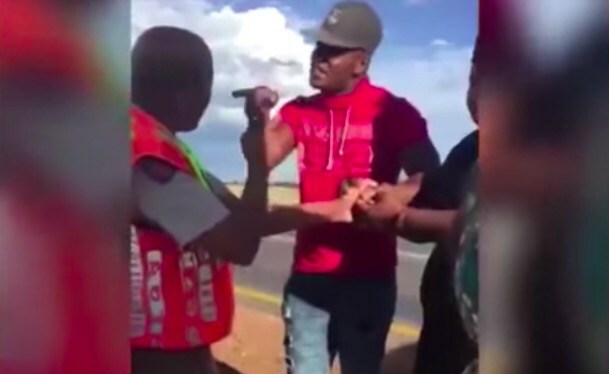 A video of a man assaulting a traffic officer has emerged. The officer had pulled the man over on Sunday in Potchefstroom after he was spotted overtaking on a barrier line. The man allegedly refused to disclose his home address, leading to the squabble.